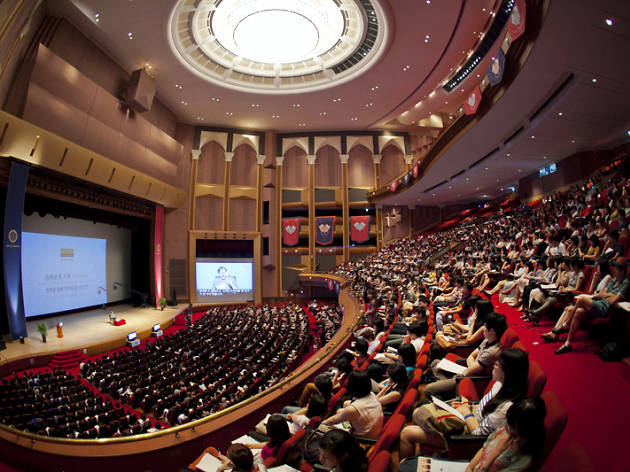 Kyung Hee University opened the 'Grand Peace Palace', in com-momoration with its 50-year anniversary celebration of Kyung Hee University. 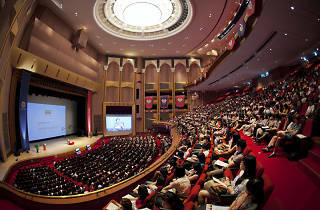 As a single cultural space, the 'Grand Peace Palace' is the largest prerformance theater in the orient with 4,500 seats. Hoe-gi Station(Line 1, Kyungeui-Jungang Line), exit 1.